Read or download Art-Gout-Beaute at Archive.org – courtesy of the California State Library. “I think it is the most beautiful magazine I have ever seen,” said Gary Kurutz, the State Library’s head of Special Collections. 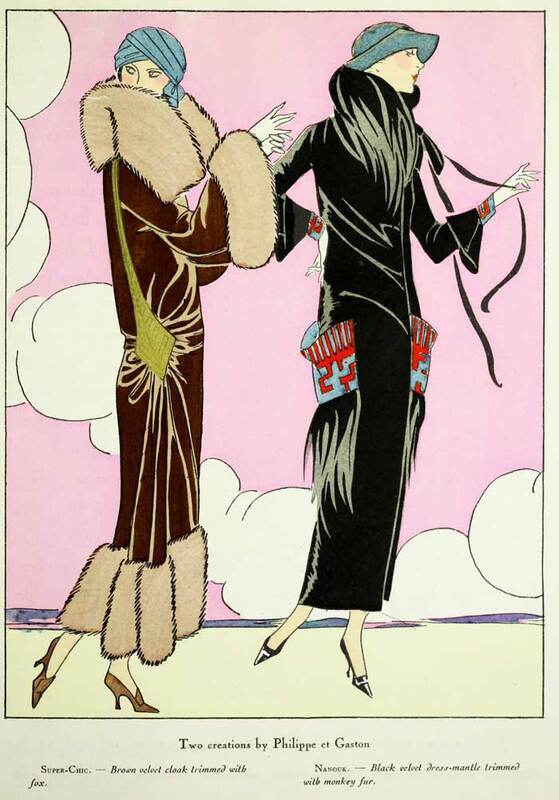 ” Art-Gout-Beaute: Feuillets de L’Elegance Feminine” meaning Art – Good Taste & Beauty – Pages of Feminine Elegance – was without question the most luxurious of the 1920s art deco fashion periodicals. 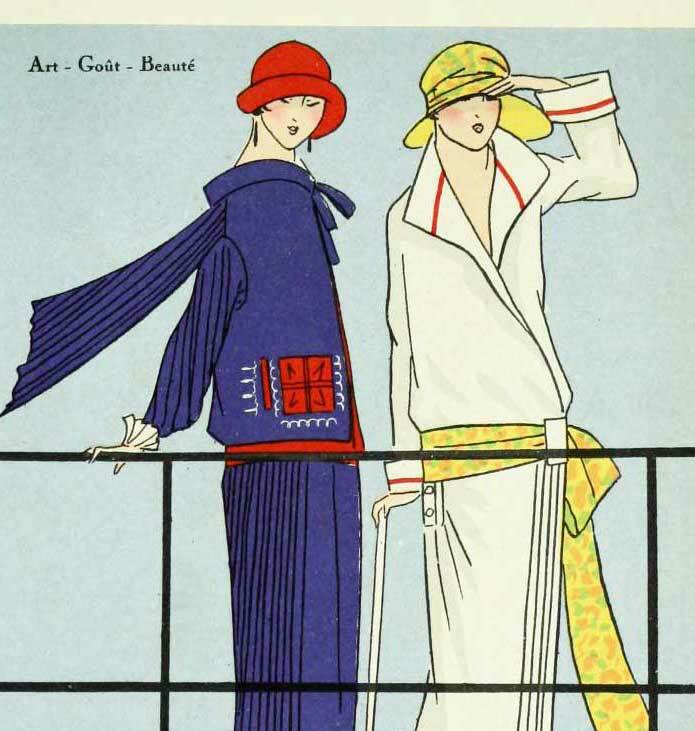 Fashion illustrations from some of the best designers of the period were regularly seen, including the likes of Edward Molyneux, Jean Patou, House of Worth, Paul Poiret and so on. Each issue devoted sixteen pages to the latest creations of the great couturiers. 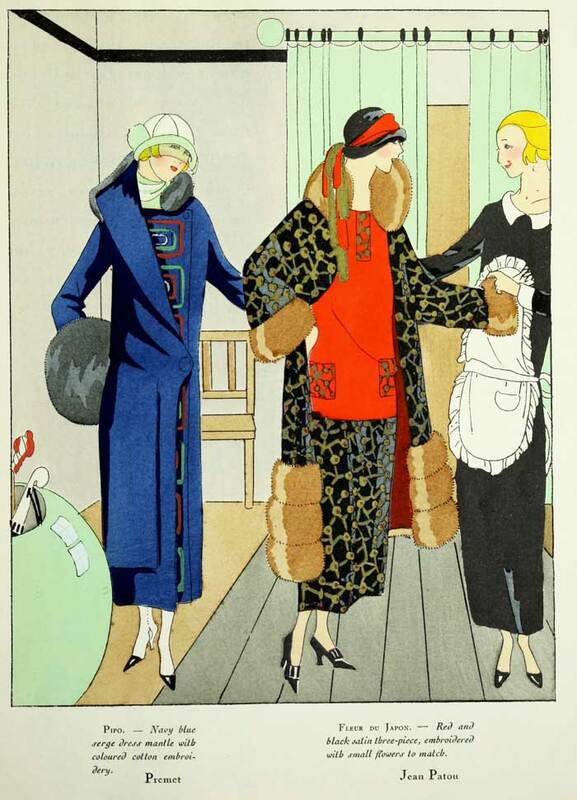 Beneath each lovely illustration, a description of the frock, the designer and the fabric used. Every issue was 28 pages and bound with a silk cord. 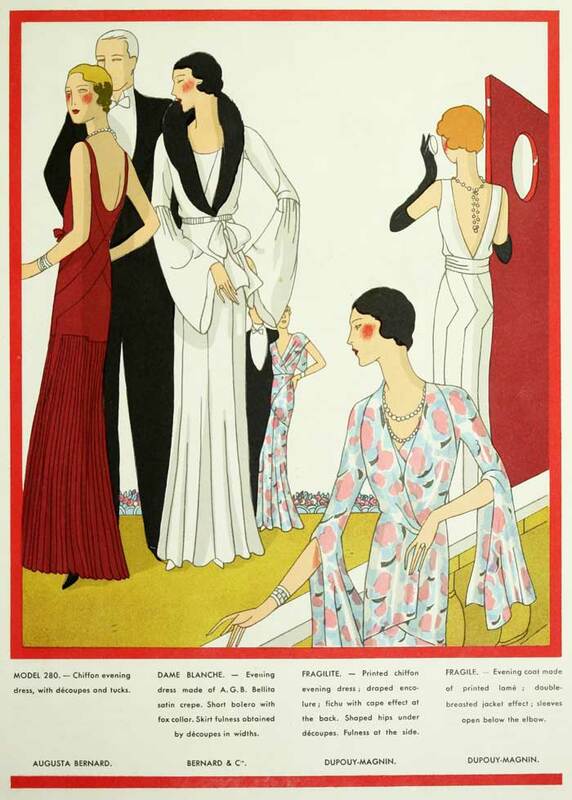 The magazines sheer elegance was due in large part to the glorious pochoir ( stencil) illustrations. 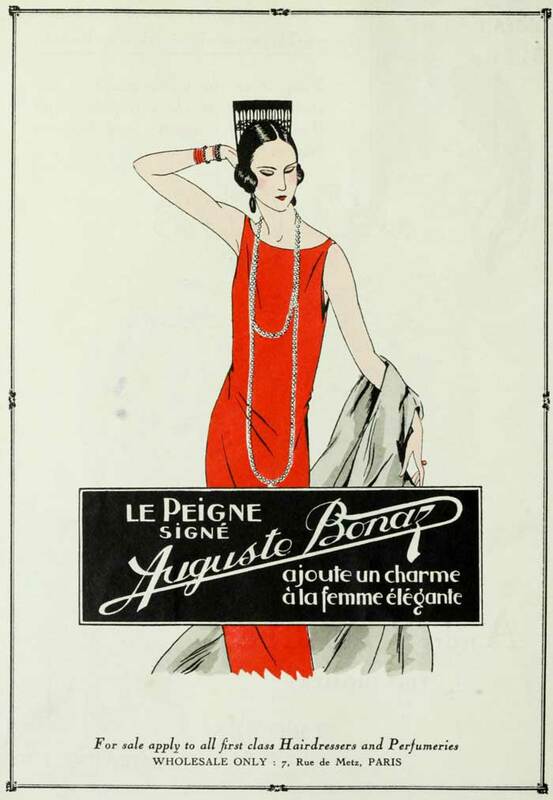 The magazines principle fashion writer went under the name of Rosine – and her articles were often controversial though mostly playful and gossipy and all aimed – naturally – at the wealthier woman of society. 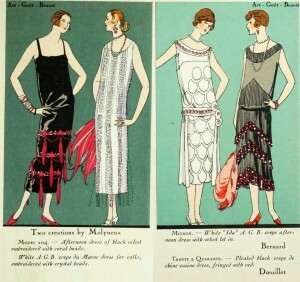 Rosine advises on the ‘correct’ costume to wear at the races, on country estate visits and soirees in the city – but she does not hold back when it comes to expressing her opinions and there is a lot to be learned for the fashion historians – from her reports – on what was ‘current’ and ‘chic’ – at least as far as the fashion set in Paris were concerned. 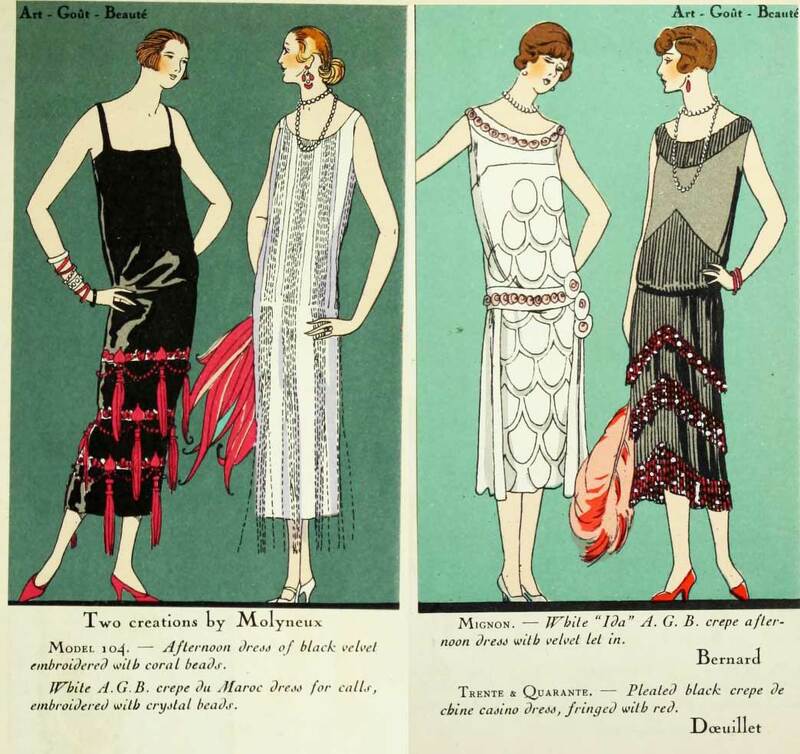 Glamourdaze.com will republish these vintage 1920s fashion reports from Rosine in the coming months.